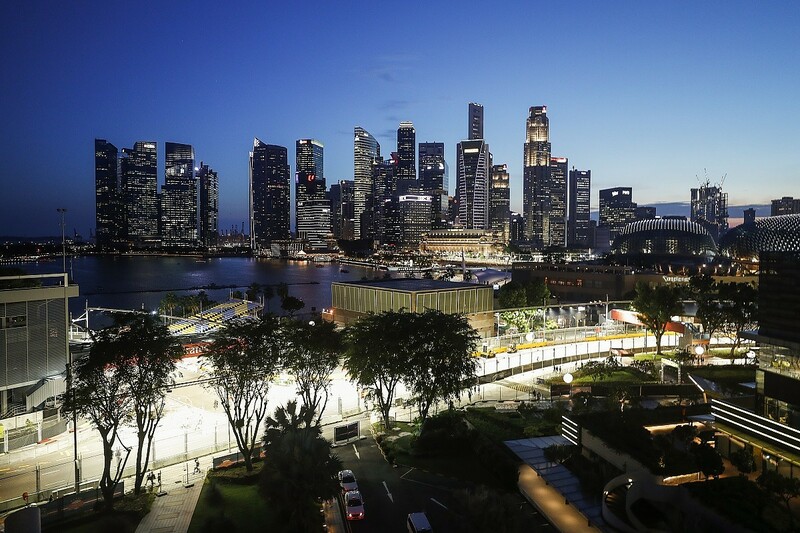 The Marina Bay Circuit, located close to the island's southern tip, has played host to the Singapore Grand Prix since F1 first headed to the city-state in 2008 - the calendar's inaugural night race. The tight street circuit encounter has been an eventful affair ever since, with 15 safety car deployments over the ten races. 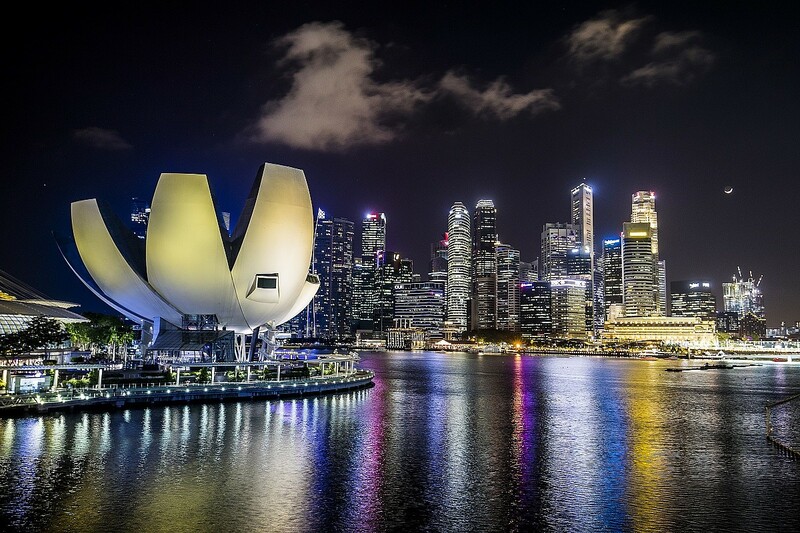 Since becoming its own sovereign nation in 1965, Singapore has grown into one of the world's most developed countries, ranking high in everything from economic strength and healthcare to technology and education. It has also received a 'world's smartest city' accolade, with its airport proclaimed the world's best. The densely populated city-state has a heavy emphasis on maintaining its precious green spaces, and 10% of the island's land is reserved for parks, gardens and nature reserves. The garden city project has given rise to new developments such as the Gardens by the Bay and the conservation of historical sites like the Singapore Botanical Gardens. Opened in 2012, the Gardens by the Bay is a huge space situated on reclaimed land near the marina, east of the city's downtown core. 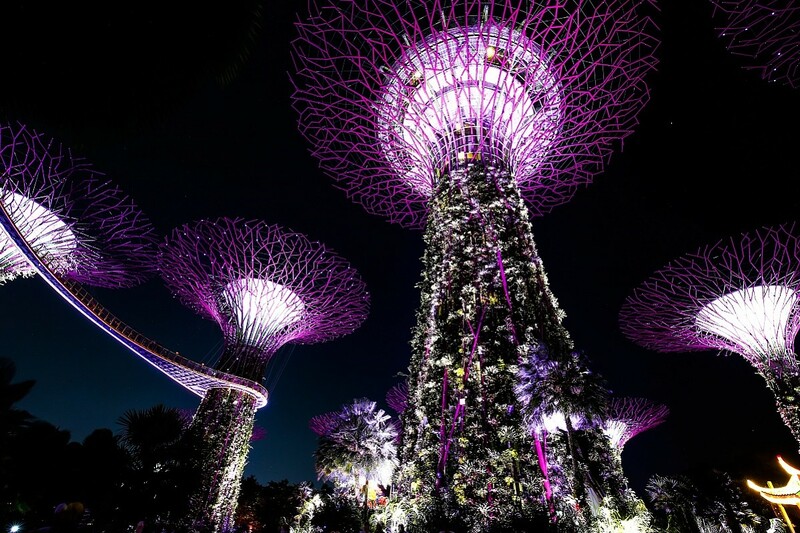 Home to an incredible array of themed gardens, the 250-acre complex is the site of one of Singapore's most iconic spectacles, the Supertree Grove. The Supertrees are man-made tree-shaped sculptures that house much of the technology that keeps the gardens healthy, whether that's cooling or ventilating the huge on-site greenhouses or collecting rainwater to irrigate the gardens. Each one is a vertical garden of its own, individually themed with different flora. Around 25 minutes north-west of the Gardens by the Bay, you'll find the Singapore Botanical Gardens. This UNESCO World Heritage Site is more than a hundred years older than the country it sits in and is adorned with lakes, lawns and gardens, perfect for a lazy wander. Head to the National Orchid Garden to see a mesmerising array of the city-state's symbolic flower. Singapore's food is varied and fusion is high on the menu. Heavy Chinese and Malay influences combine with Indian and Indonesian as well as inspiration from Portugal and the UK to create a truly diverse cuisine. Since the early '90s the city's cultural sites have seen massive investment from the country's leaders. The National Gallery, housed in the City Hall and Old Supreme Court buildings, and the Asian Civilisations Museum are a must for history and art buffs. Keep an eye open for the Tang Shipwreck exhibition and works of art by some of Asia's most acclaimed artists, such as Liu Kang and Cheong Soo Pieng. 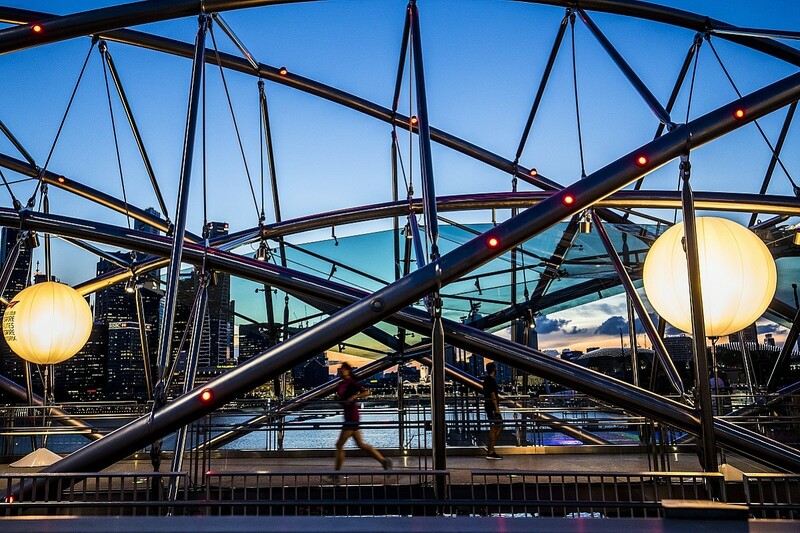 For those looking for culture before they head to the GP, you can visit the Esplanade Theatres. Opened in 2002, the theatres play host to a full calendar of stage and musical performances, including around a hundred shows a year by the city's world-famous Singapore Symphony Orchestra. It has to be Turn 7, as the cars head down the back straight before piling onto the brakes and hitting 5.1G, just ahead of the tight left-hander that follows. What about away from the track? Head to the Concert Fanzone at the Padang stage. Be aware though, it is first come first served for entry but if you can't make it in, there are several other stages with live music being played throughout the complex. Any recommendations for local food or drink? The restaurants are incredible in Singapore. You'll be able to find world-class cuisine from any culture in this city. Personally, there's a pork broth-style dish I had a few times during my time in Singapore, so ask for Bak Kut The. Is the track easily accessible? Yes, the Marina Bay Street Circuit is easy to visit via the city's underground system, so there's no need to worry about long transfers. And your top tip for this destination? Singapore's gardens are incredible. It's easy to get caught up in the hustle and bustle of the centre with its abundance of restaurants, bars and shopping, but you must take the time to head off into the parks and reserves. They're huge, beautiful and mostly free.